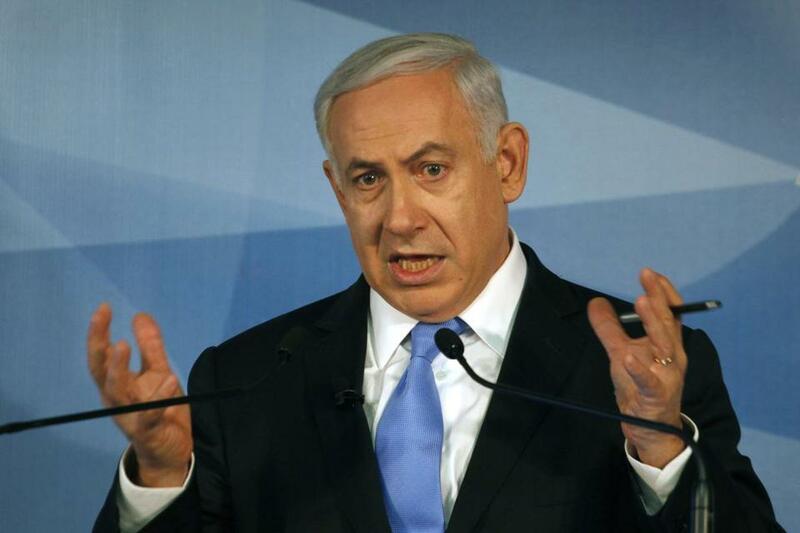 “We employ similar methods in analyzing problems and coming up with solutions for them,” Benjamin Netanyahu said. NEW YORK - The two young men had woefully little in common: one was a wealthy Mormon from Michigan, the other a middle-class Jew from Israel. But in 1976, the lives of Mitt Romney and Benjamin Netanyahu intersected, briefly but indelibly, in the 16th-floor offices of the Boston Consulting Group, where both had been recruited as corporate advisers. At the most formative time of their careers, they sized each other up during the firm’s weekly brainstorming sessions, absorbing the same profoundly analytical view of the world. That shared experience decades ago led to a warm friendship, little known to outsiders, that is now rich with political intrigue: Netanyahu, the prime minister of Israel, is making the case for military action against Iran; and Romney, the likely Republican presidential nominee, is attacking the Obama administration for not supporting Netanyahu more robustly. The relationship between Netanyahu and Romney - nurtured over meals in Boston, New York, and Jerusalem; strengthened by a network of mutual friends; and heightened by their conservative ideologies - has resulted in an unusually frank exchange of advice and insights on topics like politics, economics, and the Middle East. When Romney was the governor of Massachusetts, Netanyahu offered him first-hand pointers on how to shrink the size of government. When Netanyahu wanted to encourage pension funds to divest from businesses tied to Iran, Romney counseled him on which US officials to meet with. And when Romney first ran for president, Netanyahu presciently asked him whether he thought Newt Gingrich would ever jump into the race. Only a few weeks ago, Netanyahu delivered a personal briefing by telephone to Romney about the situation in Iran. The ties between Romney and Netanyahu stand out because there is little precedent for two politicians of their stature to have such a history together that predates their entry into government. And that history could well influence decision-making at a time when the United States may face crucial questions about whether to attack Iran’s nuclear facilities or support Israel in such an action. Romney has suggested that he would not make any significant policy decisions about Israel without consulting Netanyahu - a level of deference that could raise eyebrows given Netanyahu’s polarizing reputation, even as it appeals to the neoconservatives and evangelical Christians who are fiercely protective of Israel. “That, of course, would be inappropriate,’’ he added. Netanyahu insists that he is neutral in the presidential election, but he has at best a fraught relationship with President Obama. For years, the prime minister has skillfully mobilized many Jewish groups and congressional Republicans to pressure the Obama administration into taking a more confrontational approach against Iran. It was a quirk of history that the two men met at all. In the 1970s, both chose to attend business school in Boston - Harvard for Romney, the Massachusetts Institute of Technology for Netanyahu. After graduating near the top of their classes, they had their pick of jobs at the nation’s biggest and most prestigious consulting firms. The Boston Consulting Group did not yet qualify as either. Its founder, Bruce D. Henderson, was considered brilliant but idiosyncratic; his unorthodox theories - about measuring a company’s success by its market share and dividing businesses into categories like “cash cows’’ and “dogs’’ - were then regarded as outside the mainstream of corporate consulting. As Romney recalled, the faculty and students at Harvard Business School routinely mocked the firm’s recruitment posters. “Boston Consulting was at the time a firm that seemed somewhat under siege,’’ he said. But the company’s status as a pioneering upstart, nipping on the heels of bigger blue-chip firms like McKinsey and Booz Allen, fostered a deep camaraderie among its young employees, who traveled around the country advising clients like General Foods and the Mead Corp. Even in a firm of 100 MBAs, Romney and Netanyahu managed to stand apart, as much for their biography as for their brainpower. Romney’s father, a former governor of Michigan, had sought the Republican presidential nomination a few years earlier, becoming a household name. Netanyahu had his own exotic resume: He had just completed a tour of duty in an elite special forces unit of the Israeli military.